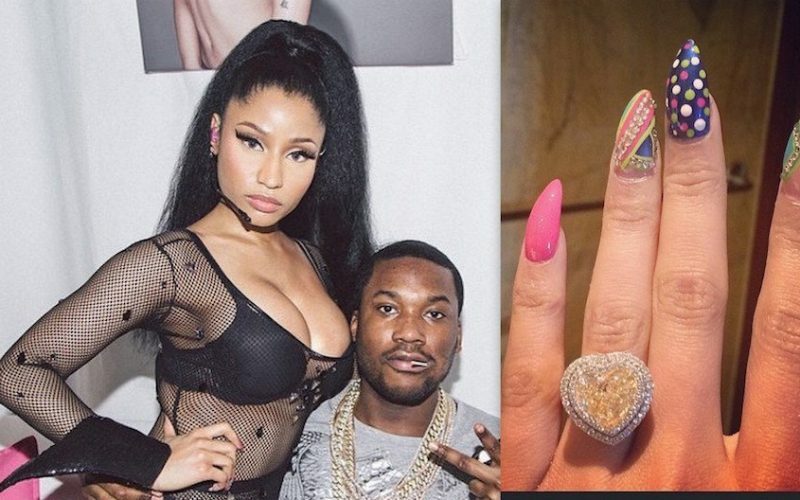 Meek Mill has proposed to his girlfriend Nicki Minaj and she said yes. Hip hop can expect a lavish wedding later this year if Nicki Minaj and Meek Mill stays together. Nicki Minaj confirmed her engagement via Twitter and Instagram yesterday when she posted a giant diamond engagement ring. “I’ll post it later,” Nicki wrote on Twitter. Over eight thousand fans retweeted the tweet and twelve thousand favorite it. ??? – I'll post it later ? 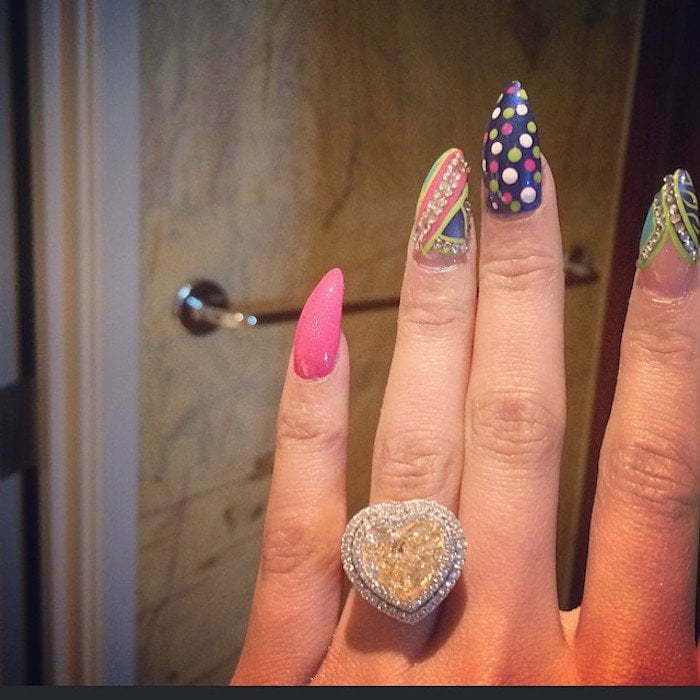 The “Only” rapper later posted a photo of the giant engagement ring on Instagram believed to be worth $500,000. Sources close to the Trinidadian rapper told Urban Islandz that Meek Mill popped the questioned while they were in Miami earlier this week. 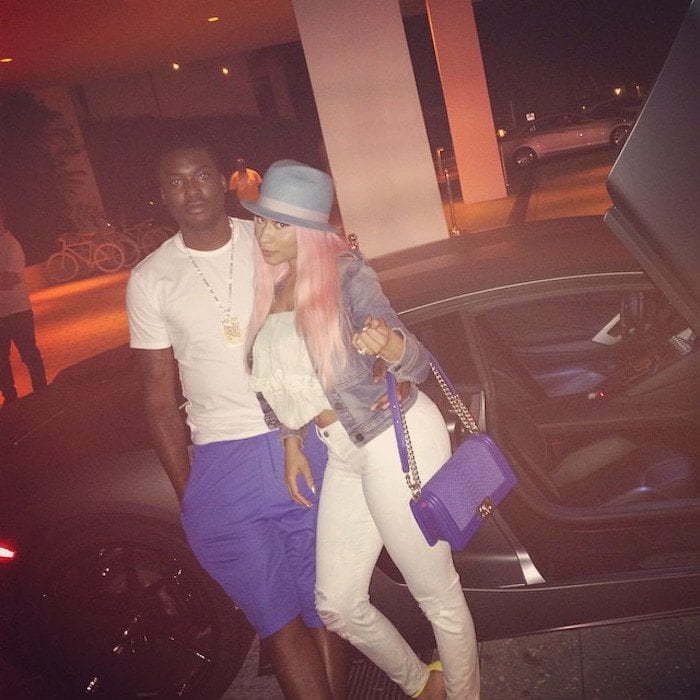 Nicki Minaj also posted a photo on Instagram of herself and Meek Mill in Miami. “Those Miami nights,” she captioned the photo. Nicki is currently enjoying some down time after a hugely successful European leg of her The PinkPrint tour. Meek Mill will be joining her on stage for the North American leg of the tour. Meek Mill and Nicki Minaj have been dating since last year following her split with her boyfriend of 12 years Safaree Samuels. The couple went public with their relationship earlier this year shortly after Nicki Minaj cried during an interview with Angie Martinez about her heartbreak. Rebound relationships normally don’t last that long no matter how cool someone is especially if a person just got out of a relationship that they were in for over a decade. First pic makes her look like she has pit hair lol. This marriage wont last because she is only using Meek Mill to get back at her ex-boyfriend. ITK( I to know ) who told u that is it ur business if they marry? get a life and mind ur business.